The paisley pattern may be identified as a contemporary design due to the bright, swirling, psychedelic style popular in the mid to late 1960’s. Paisleys were on clothing, wallpaper, and home furnishings. 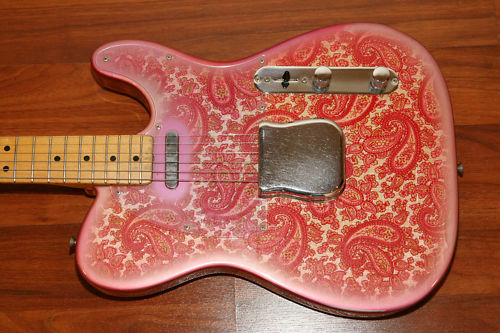 It was so popular that Fender made a pink paisley version of the Telecaster. Why did the 1960’s culture embrace the pattern? It is likely due in part to The Beatles who were influenced by Indian spirituality and culture. John Lennon even painted his Rolls-Royce with the paisley pattern! The paisley originated long before the free love of the 1960’s. Although the exact origins are disputed, the familiar shape can be traced to an adaptation of the yin-yang symbol from ancient China, Celtic metal work from the Iron Age in Britain, ancient Babylon in present day Iraq, and notably the Kingdom of Kashmir. The motif itself is a curving teardrop shape which combines a stylized floral spray and a leaning cypress tree symbolizing strength and resistance. The ancient pattern became fashionable in Europe in the 18th and 19th centuries due to the import of luxurious Kashmir shawls by the East India Company. The beautiful shawls were very costly… some the price equivalent to the price of a small house! To see Kashmir shawls and learn more, check out this blog by the Gilded Griffin. Soon, imitation Kashmiri shawls were manufactured in Europe. The weavers of Paisley in Scotland were highly skilled and used Jacquard looms to produce paisley designs with multiple colors. At its peak the town of Paisley employed 6000 weavers. 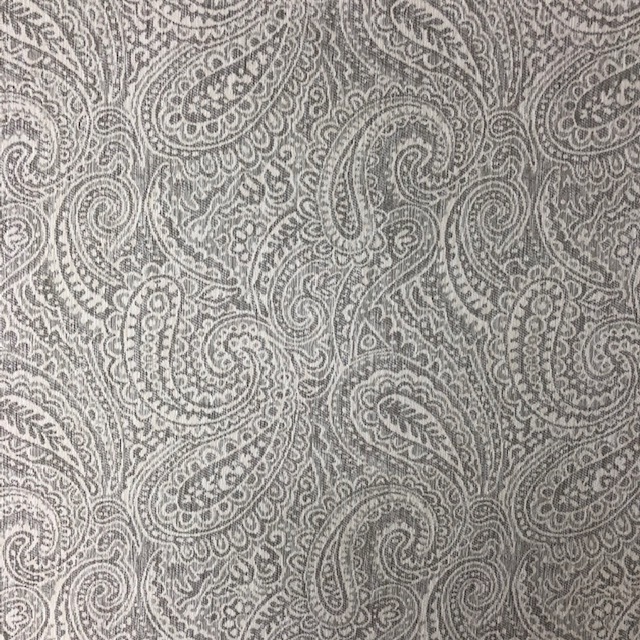 Due to the shawl production in Paisley, Scotland, the pattern became known as a paisley although the name is not international. It is called palme in France, bota in the Netherlands, and bootar in India. This season we have been working on a few paisley introductions for our Showtime in December. Here is a hint of what we will be introducing.